Naruto Tattoo. 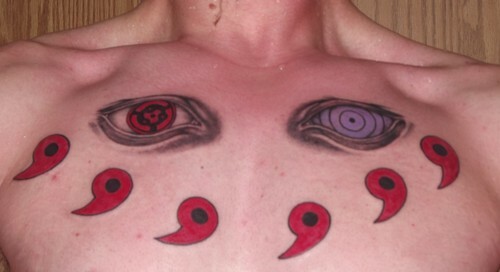 This is my newest tattoo, its of the Rinnegan and Sharingan eyes as well as the Sage of the Six paths Matagama beads. HD Wallpaper and background images in the Naruto Shippuuden club tagged: photo rinnegan sharingan tattoo naruto sage of the six paths eyes.